Well, here we are with another cup tie, and I’m intuiting a general sense of underwhelm among the faithful following the silly result Saturday against Reading. Nonetheless, it’s another opportunity to get a competitive match in, and it seems like we could use it. Though one might expect we’ll see a slightly makeshift side that isn’t really going to tell us much. Then again, there might be enough in place to draw conclusions. I think we also know these kinds of games don’t really affect Bruce’s thinking much. Granted, it’s been a good start by Villa’s standards, and we’re still there or thereabouts. Now, of course, we could easily have expected to win all five of these opening fixtures instead of drawing three, but we haven’t. We’ve not been outplayed necessarily, but we’ve not looked fully at the races, either. Do these dropped points end up haunting us down the line? With players still incoming, it’s a bit hard to know what we’ll really end up looking like. Anwar El Ghazi looked very useful on his debut, just like John McGinn did. If Yannick Bolasie is up for it, then it looks as though we’ll have gotten faster and more powerful on the flanks, with plenty of experience. Yet while we’ve bolstered our attacking options, there seem to be some deficiencies at the back that may well not get addressed. We still have an overabundance of right backs, a shortage on the left, and the question of who should play alongside Chester. Given Terry and Johnstone’s departures, some settling in obviously has to take place. Beyond what’s been a shaky start for the defense, the biggest sense of discomfort has centered on what will likely become the defining characteristic of Steve Bruce’s tenure: who plays where and when. The overwhelming sense that Bruce can’t figure out his best side and that Villa end up being better when a side is forced upon him remains. Whether it’s formation, personnel, tactical adjustments, or substitutes…There just hasn’t been any sense of identity yet and it seems a bit late for that. Apart from the keeper and the other new boys, Villa started the season knowing what they had. I could go on, and I usually do, but suffice to say I’d like to see a settled side (and I see no reason why there shouldn’t be one bar rotation or injury) that includes players who are inexplicably either rotated or ignored. I’d like to see us not using Jonathan Kodjia as a hold-up man. I’d like to see us attacking more through the middle and showing more tactical flexibility overall. I’d like to see us get the back line sorted out. Anyway. Burton Albion. I wish I could say I’m “excited,” but I have to admit I’m more worried that whatever the result, I’m going to end up being a little more frustrated, and I really wish that weren’t the case. That said, we’ve done well against them, and maybe a good result will provide a bit of a lift for the side over the break. This entry was published on August 28, 2018 / John Clark.  Posted in Aston Villa Blog, Match Previews, Match Reviews and tagged "Anwar El Ghazi", "Aston Villa Football Club", "aston villa life", "Aston Villa", "Burton Albion", "Yannick Bolasie", astonvillalife, Carabao Cup. Bookmark the permalink. Doesn’t look bad but no Green? #avfc subs: Chester, Whelan, Jedinak, Bjarnason, Elmohamady, Doyle-Hayes, Bunn (gk). but like many, you do not seem to be accepting what Bruce has said categorically, about building his defence around Jedinak. This is the biggest worry, although some seem to be coming to accept this. Chester is club captain, but Jedinak is now team captain…!! You’re right, haven’t wrapped my head around it. If Bruce sees a CB there (and he ought to at least know that much), then I’ll certainly defer to him, and that seems to be the case. But I think it comes down to persisting with players when we could do better. I can see saving money and keeping Jedi on board. I can see finding a younger loanee (like Tuanzebe) and taking the same amount of time to get him up to speed. Then we’d be faster and more athletic in the middle. Likewise Whelan. We’ve got so many midfielders now, and I can’t see why you waste time with him. I like him, he knows the game and where to be, but we’ve got more money wrapped up in younger, faster players…and it’s clear, for example, that Bjarnason gets better the more he plays. And then De Laet. He should be getting more than cup run-outs, and I think (could be wrong) that he’s bigger, faster and stronger than Elmo. I keep picking the same nits, but I don’t see why Bruce has so much trouble getting away from these veterans and turning to players with more upside who aren’t on the downward arc of their careers. I think it is that Jedi is his man for the dressing room, go between with the players, and seems to have had a lot of influence persuading the new loanees to join. PP- is he threatening them? this is worth a read about how we are set up or not a the case may be. The games shocking 2 shots off target so far. Not a bad read, MK. Basically what we’ve been saying: Kodjia’s not a hold-up man, and we don’t bring enough support forward. Oh, and the set-up and tactics don’t change. Pen and sending off, Adoamah misses Blah. Some managers respect their club’s fans and attempt to provide at least some excitement. Some don’t. Demonstrates the meaning of gone for a Burton. That bench tonight was magnificent. Full of match winners. I can only imagine what 2,000 travelling fans thought. I am amazed that we can put 11 full time professionals on the pitch of such a good calibre and not produce some excitement and at least a positive result. Just watched Neil Ardley’s Wimbledon play magnificently against West Ham Utd, sadly down to ten men after about 15 minutes, but held out for a very long time, but for all the efforts of the team and Pellegrini would have maybe at least snatched a draw. There is a young manager knows his business, and has been there successfully for a long time. The blogs seem to turning on Bruce after tonight’s disgraceful display of negative football. Are the players just not wanting to back Bruce and produce the right results…..is his time getting shorter…??? ???? ?Andre Green gone out on loan to Pompey…..ffs,I give up I really do.RIP the Academy. Well, right now don’t really know what to say. Seen Bruce’s comments about players knocking on his door then not performing…Don’t know what to make of it. At half time I went out to pull weeds knowing the choke was on . I’m guekssing he’s lost the dressing room. Jedinak is 34 and he wants to revive his career as a defensive player? Give me a break. Green gone? Another brain fart. Get someone in to replace this guy he’s past his due date. 5 lucky championship games IMO. Brasil- didn’t see that one coming, waiting for ohare to follow. Shocking attitude by Bruce, of course players knock on his door but they want a chance in the 1st team set up not thrown in with 8-9 others with no game time. Brasil, you’ve said it all for me. MK, you too. Costa, you too. Ian you too. PP, you too. JG, you too. JC, you too. I just hope that NSWE are well advanced in their search for a replacement. For me, 6 and a half games this season have been like testamonial games. Sedate and killing the fans interest. JG – if I was anyone in that team last night bar tuanzebe I’d want out. The pre match warnings of big changes and the blaming players for wanting to play says Bruce has not got your back. To be honest I’ve become conditioned to no shows in the cups and the reasons given. Yes the players ultimately have to play well but this is a reoccurring phenomenon with Bruce and the team he picked included no less than 7 of his own players. Can you imagine what would happen if we fluke promotion. Bruce in the premiership??? How things can change in the space of a few days….. The blogs that had loads of Bruce defenders have now turned against him, and everyone is very vociferous in their condemnation of the guy! Ian Taylor, one of the club’s ambassadors who writes programme notes for every home game, and has stood by Bruce and the team, had one word to say on his Twitter blog, “Abysmal!”. It is looking like the end could be near for Bruce, who has been slamming the number of games that Villa have had to play over the last couple of weeks, saying it is ridiculous, and needs to be cut back. What does he think Villa would be doing if we were in Europe. This man cannot cope with a team playing more than one game a week, and even then he struggles. If he is a gentleman, then he should be walking by Sunday morning at the latest. PP, I don’t know the man, but he may well be a gentleman. What I do know is he’s been in professional football for many years and won’t be walking any time soon and leaving a year’s salary on the table. We’ll get the speel about him not being a quitter etc. but if he’s being brutally honest (one of his phrases) he won’t give up a million quid unless pushed. Morning Paul,that argument holds no water,all teams in the Championship have the fixture pile up.Managers throughout the divisions cope with tiny budgets and small squads year in year out.We have a huge squad that is managed badly.Christ one up front t at home against a team in the bottom 2 or three?Bruce is just deflecting the criticism from himself onto the players,oldest trick in the book. Saw this on another blog, all Bruce comments. “I was more concerned with how badly we played. That was my biggest concern. “But nothing has been quite as bad as that. That’s arguably the worst we’ve had. “Too many times I’ve seen us play the way we did today where we haven’t done enough in every department. “Unfortunately we have not been able to do enough with the combination to win the cup tie. I have picked a team I thought was good enough to get us through the cup tie. On the day we were well short. You could use the word embarrassing. “It is safe to say that was nowhere near good enough or acceptable. “But we will be much better. I have used the squad and maybe I shouldn’t but if two or three had got injured then I am walking a tightrope. V Burton Yes sounds familiar ? Seems to me that he has no faith in the majority of the squad if he’s worried about losing a couple to injury. He played Axel and ElGhazi? are they not central to plans? I don’t get his mind set, we have a very large squad. I also cannot understand why with a surplus of RB’s and Mids Steve Bruce chooses to play Tuenzabe in those positions? we are lacking in the CB department? we seem to have ditched 3 at the back from Pre-season for 4411 too, so what the hell is he basing his transfer strategy on? It shows how bad things have got when i didn’t even check the score until this morning. I’m with every body else, get this clown out of here. If you don’t see me comment for awhile, it’s because like last nights players, i can’t be arsed. When compass get rid of him I’ll take some interest again, but until then screw it. So no body has offended me on this site, it’s the manger and the boring footie that offends me. Hopefully I’ll be back sooner rather than later, but until keep well all lifers. For what its worth Welcome Chris, Sheff Utd have rallied after a shaky start and won 3 on the trot, they will be a hard nut to crack this week at their place, wish I could make a confident prediction but a draw is the best I expect on form. Will the owners give Bruce more time? probably but also as easy to predict as the results. Canadian, hope your back soon or we all might join you. Steve Gerard wants Elphick on loan, with a view to permanent deal. Crazy that Bruce doesn’t want Elphick, but wont let him go, such a waste of a good player, who needs and wants to play..!! Just an observation, the team has changed obviously from last season (mainly Snodgrass/Johnson/Grabban for half season) but we now have/had a fit Green, Kodjia, Delaet, Grealish, Jedinak + Mcginn, Tuenzabe and ElGhazi lately if not from the start of the season. The kicker is we are unbeaten in 4 with 9 points vs last seasons 11 points from the same fixtures. Players settling? same for all clubs at this point. JG, Very true. Good points. It’s anybody’s guess what the team sheet will look like this weekend. Thanks for writing for us, JC. And I agree with the comments. Villa is in need of a new manager. SB is a nice man, a rich man. He can retire secure for life, which so many can’t. 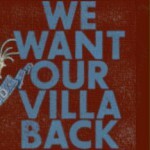 In the meantime, the state of footy at Villa is dire. The club is still losing its mojo under this lot. Villa needs a manager that can ignite a bit of passion and manage the team competently. Not completely disagreeing on SB being over his head, I’m interested in who people would prefer to replace him? Assuming NSWE is willing to buy out a contract. Villalore- smith- a risk but given a decent structure then ok. That for Me that’s the stumbling block at present. It would likely write off this season though. I’m thinking Huddersfield will struggle this year and Wagner may be a good bet if SB survives till November. Can Smith handle the pressure, we know SB, Lambert, RDM probably didn’t deliver their best. Fans are now saying it is time to sack Bruce and give Thierry Henri the call…..He will then have the international break to sort out his team. I am sure it is only a minority at the moment, but it will soon be a growing number if we do not achieve a result on Saturday, and Bruce’s condemnation of everyone apart from Bree and Axel does not bode well. Is he now in the same position as Mourinhio, and liable to be the first manager sacked in the Championship. I certainly would love to see Henri as a manager, with the right mindset to take Villa forward. Lampard took a few weeks to settle in at Derby, but he is already making his mark. Karaka is doing the same again at Forest. This is the time for young and intelligent managers. The game has changed for Bruce, he now has a squad of players playing to a level that is beneath professional pride but a thousand miles away from listening to Bruce, if we can see players playing out of position and tactics that are cautious to say the least then the squad can. They are playing for his removal, Agnew as temp would probably see an immediate pick in results. Disappointed by Green going out on loan but all it really says is that Bruce wasn’t going to give him game time. Thankfully, Bruce is addressing the CB cover issue, he just needs to move Jedi into the cover position and play the new lad or Elphick with Chester. We can all see the potential this squad has in attacking football, who wouldn’t want to cut their cloth at Villa, there is no risk just an opportunity to release the potential. Smith would be ideal as a Villa fan and a manager looking to play progressive football. I’d take a punt with Mellberg too. The clock is ticking for Bruce regardless of the next result, I do hope that he won’t be around much longer, it’s very frustrating watching a stifled Villa. do with some…oh I thought you said tactics. The nephew asked if I thought Bruce should go & if so who would take over & I said I think any of us in this car could do a better job. A bit of an exaggeration I know but right now I would take Terry Henry in a heartbeat (only just started using gilette products again after the hand of a bolix incident) as alot have said on here we need a progressive man to take us forward & even though he’s untried with the squad we have I don’t think he could do any worse than bruce. Interesting he turned down the job in France, maybe he knows it’s only a matter of time before Bruce gets the elbow. Forgot to say on my last post thanks JC for keeping the best villa blog on the go. Good man yourself. The best way that Spud can silence his dissenters is to put Villa on a lengthy run of wins that leads to P1 in the table. His problem is that despite 2 years at the helm and access to a squad costing huge sums of money, he hasn’t managed it yet. Nor do I think he can achieve it based on deployment of defensive formations. Costa suggests Henry as a replacement, some have said Dean Smith. Either would be refreshing to the fans with attacking football. I’d even sound out JT. He knows the players inside out, he has the benefit of being schooled by so many great managers and he knows the Villa fans are craving attacking play. And like Henry he’s out of contract so hiring fees are minimum. Not a bad call Plug…. anything to improve the present position….. It is so reminiscent of Sherwood, and our last season in the Premiership, when he was not happy with the players he was given, and played a different team every week, blaming the players rather than himself, and eventually he had to go. PP- If he doesn’t rate the players he shouldn’t of Bought them, His nailed on starters remain Chester, Jedinak, Grealish and Kodjia non of which he bought. I’m not saying that or anything just to Criticise Bruce its just appears to be the facts and I think that goes for the majority that want a change. Saddest part is the whole unhappy dressing room thing cannot surely have gone away with the way he throws his players to the wolves. The team playing every week gets calls for time to gel and a one off reserve side gets slagged off. If we get Moukoudi its a bit of a mad one, looked at by many lower Prem clubs but largely untested.His main attribute? Good in the air. can play a bit too. Cheers, all…Good to see so many familiar and occasional faces. As always, the conversation is a credit to intelligent football supporters everywhere. Once again, very busy week, and my apologies for not having a post-Burton post, but, well…”Unbelievable,” I said after the full-time whistle, and that’s as succinct as I can be. Except it was hardly unbelievable, in the end. Anyway, will have something new up for Saturday sometime later in the day Friday. Makes me wonder why we have gone back to making so many errors? Unfamiliarity with players maybe but most have been here a while. Players out of position? More likely and lack confidence for some. Another poss is we never drill in one style and stick to it for long. Good morning all!! I’m back in Brum for a while from Spain & I just wanted to say what a beautiful morning it is & I hope everyone has a great day. UTV!!!!! He has been appointed by Sawiris and Xia, who are jointly making the decisions, it seems. Makoudi will not happen, as he wisely wants to stay in France, but we may still release Elphick on loan to Hull, as he was having a medical there today. Still a possibility of Tammy Abrahams coming, and one or two more going out on loan to balance the books, but, apparently we will not let Hogan go to the Blades. We will have all the answers on transfers after 5pm tonight, and more answers on Aston Villa after 5pm tomorrow night….!!! Got rid of Rafa, reigned in on big money transfers, found big multi-million pound sponsors and oversaw the multi million pond deal to Livrerpool’s present owners. Managers may not be his thing..!! He posted: “F*** Bruce. There’s no loyalty in football anymore. My brother was loyal to Villa and still is. Saved a man’s job and the man forgot. Sounds pretty reasonable, and he also points out that his scoring dropped off because he had to spend so much time defending…!!! Tammy Abrahams has been lied to and has joined us 🙂 Elphick has gone to Hull??? Okay. No insights, but a fresh sheet of paper is up. Tammy Abrahams is a great signing for Villa. The transfer window has gone better than we all expected considering the position we were in 6 weeks ago. We have quality in abundance up front with Bolasie – El Ghazi – Kodja – Abrahams – Grealish – wow. That forward line should score a bucket load of goals. And we have Hogan and Davis to consider. Take your pick. My favourite signing has been Mcginn. He looks an absolute gem of a player – tenacious, energetic with great delivery. No wonder Brendon Rodgers was left spitting when Celtic missed out on him. I was extremely disappointed to read the article from Albert’s brother. Adomah was sensational for Villa last season and he kept Steve Bruce in a job. We should show some respect to a player if the report is true then shame on Steve Bruce. I understand Albert is not in the best of form but he will improve and we should stand by him. His goals last season secured our place in the playoffs. We all prayed for loyalty from Grealish when Spurs were interested – we should show some loyalty to Albert Adomah. The new owners stood by Bruce. Bruce is demonstrating double standards by trying to cast off Albert. Aston Villa should stand for something beyond football. It is a magnificent football club. We should demonstrate a higher purpose. And finally Steve Bruce. Football is at a turning point. You have defence minded managers – Pullis – Benitez – Mourinho and you have progressive managers Klopp – Guardiola – Santo – Jankovic – Bielsa. We all crave the later. Free flowing attacking football. And then we have Steve Bruce. A defensive first manager, who has gone out and purchased a bunch of attacking players and has neglected the defence. I am confused. Jedinak is never a Centre Half and he is affecting the form of Chester. We shall see.